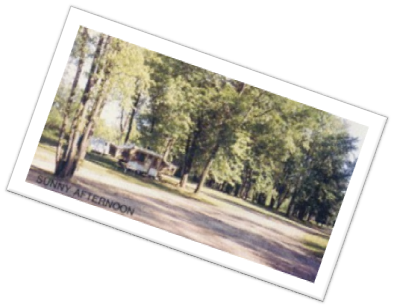 Chuck-A-Lou RV Park & Campgrounds, named after our parents Charles and Louise, is located in Crawford County, Pennsylvania along a beautiful wooded area of French Creek noted for its fine fishing. The creek and adjoining lagoon are loaded with many species of fish including muskie, walleye, bass, and pike. Throughout the year birds, ducks, geese, turtles, beavers, and various other animals frequent the area. Besides the peace and tranquility provided by nature, you may bring your canoes, bikes, and even pets (on a leash) to enhance your visit. If that's not enough, we are conveniently located to Woodcock Dam (5 miles), Conneaut Lake (12 miles) and Lake Erie (34 miles). Also within a few miles there are several golf courses, churches, restaurants, and hospitals, not to mention many shopping destinations, a recreation complex, and a laundromat (3 miles). 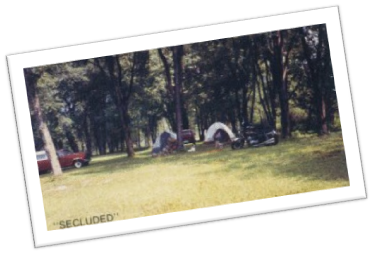 Our campgrounds feature complete RV hookups with water, sewage, and electric in addition to more than one hundred primitive RV, camper, and tent sites. There are beautiful ceramic tile bath facilities and a recreation building that comfortably seats up to eighty people. Take Exit 37, State Route 198 East to Route 19. Turn Left onto Route 19 (North). Park is 1/4 mile down on the left side. Plus: Several Antique Dealers, Shopping Centers, Churches, and Golf Courses. 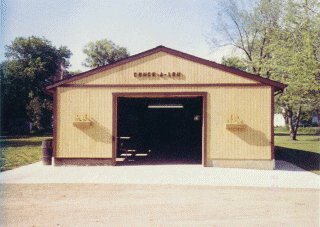 Fees include use of the bathhouse and recreation room. Picnic tables and firewood are available. * Species include muskie, walleye, crappie, bass and many others. Firewood is an additional $10.00 per day per unit (with any RV or tent site rental). When you are not here electric plug must be pulled. When here for the season electric must be paid. Your seasonal rate is based on 4 people per site. The 4 people must be living at home as part of your present family. All additional overnight guests are $10.00 extra per person. Accidents or injuries to you, your family members or your guests. Any loss of money or valuables of any kind due to theft, misplacement, act of nature, fire, or any other accident. 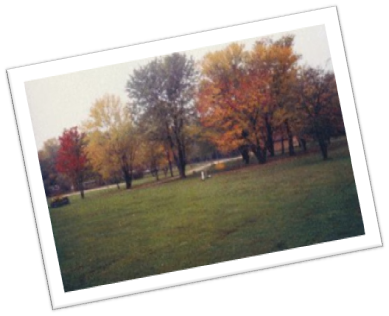 Any losses or damages to RV units or vehicles during the season or during winter storage. It is your responsibility to insure your unit. The Speed Limit throughout the park is 5 MPH. No Exceptions! No electric hot water tanks, heaters, floodlights, spotlights, outside refrigerators or other appliances are allowed. Quiet Time: 11:00 PM Á to 8:00 AM ¾. All outside radios and TVs must be turned off at 11:00 PM. No electric lights, bug lights, or patio lights after midnight. No mini or motor bikes allowed. No riding bicycles after dark. Pets allowed on site, on a leash only and you must clean up after them. No camp sights are to be occupied by teenagers without parents. Washing of clothes or utensils is not allowed in the bathhouse. Garbage is to be put in plastic bags and disposed of in containers that are provided for this purpose. No loose garbage will be allowed. No lethal weapons (including air rifles) or fireworks allowed in the park at anytime. The management reserves the right to evict immediately without refund, any person or persons violating the rules or who uses profane language, becomes intoxicated or conducts themselves in such a manner as may be injurious to others. This includes the use of illegal drugs of any kind. 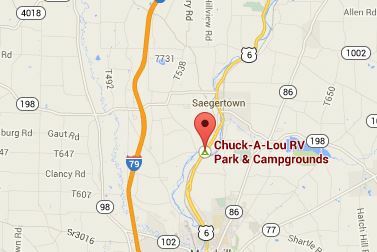 Site and contents unless otherwise noted are Copyright © 1999-2014 Chuck-A-Lou RV Park & Campgrounds.